Earlier this week, Detroit rapper ZotheJerk and producer Frost Gamble sat down with Prox Centauri, the editor of Michigan’s online “Inside the Rift”, ahead of the release of their new album “Black Beach” on May 26th. The discussion centres on the conceptualization of the project, the initial approach and recording process given the various sessions took place in Detroit, Kansas and Ohio. They also touch upon the politically charged subject matter evident in the lyrics throughout which address a range of social issues including racism, social engineering and empowerment, before moving on to outline their working relationship and previous project “Muscle Shoals” designed as a tribute to Luther Ingram. In closing, as Frost originates from New York State, Zo explains how the album represents Detroit, NY and the States generally as the subjects he addresses are more universal in nature. 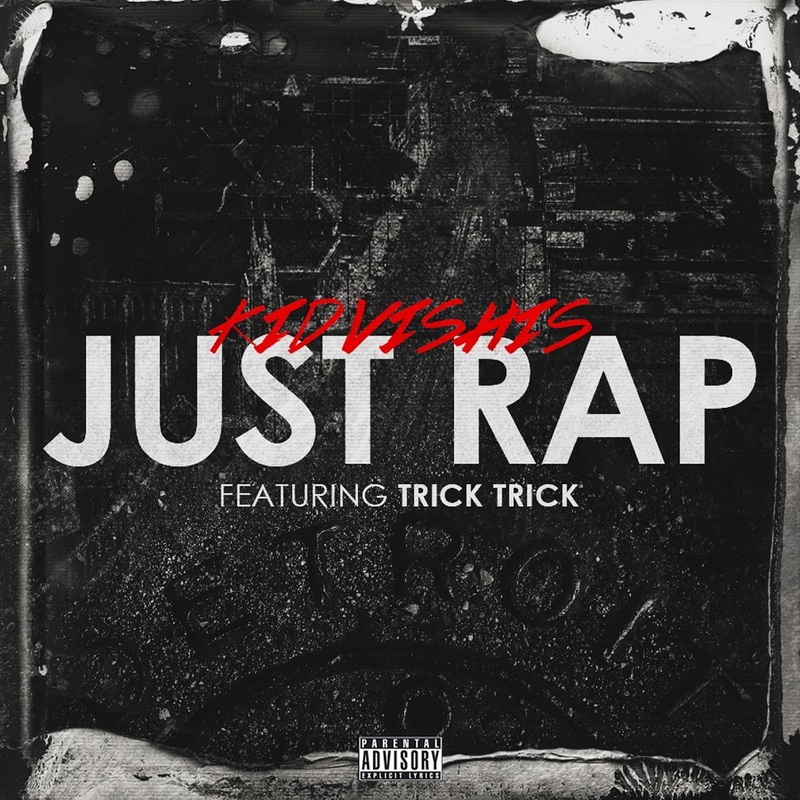 Detroit partners in rhyme Kid Vishis and Goon Sqwad’s Trick Trick go in for the lyrical kill over this brand new banger “Just Rap” produced by New Jersey’s Nemisis. Fired up by a raucous beat, the pair go on a verbal rampage delivering knockout punchlines aimed at their targets with ferocity and on point precision. Lyrical tradecraft from two of Michigan’s hip hop heavyweights. 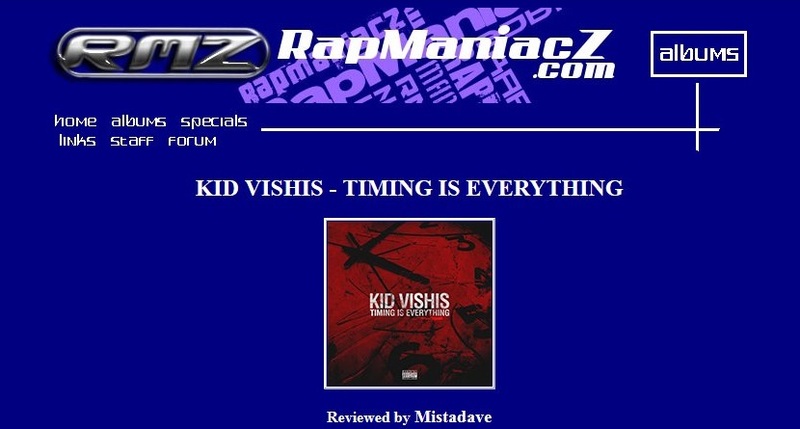 Vishis made the joint available as a free download today, an act of appreciation for his fans’ support of his debut album “Timing is Everything” which released on 22nd July 2014 to worldwide critical acclaim. 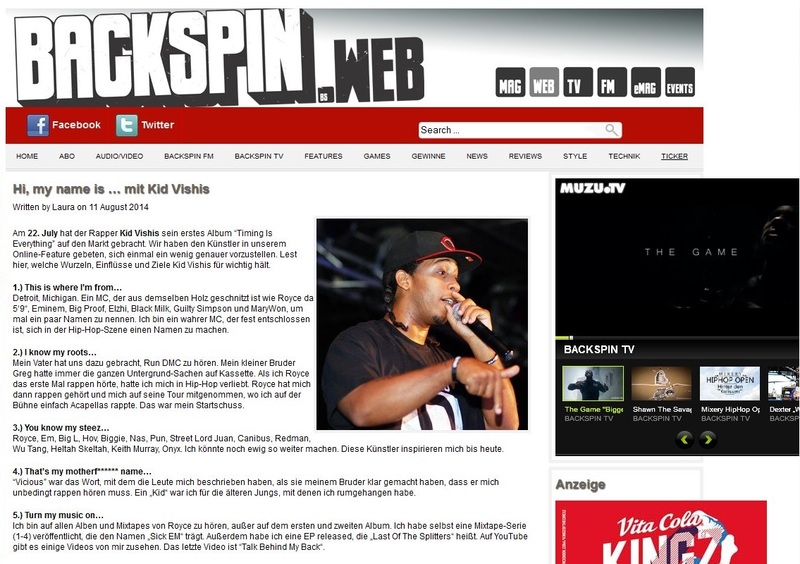 One of Germany’s leading hip hop & rap publications Backspin Magazine run a feature series “Hi, My Name is…” where they interview international artists on an introductory basis. 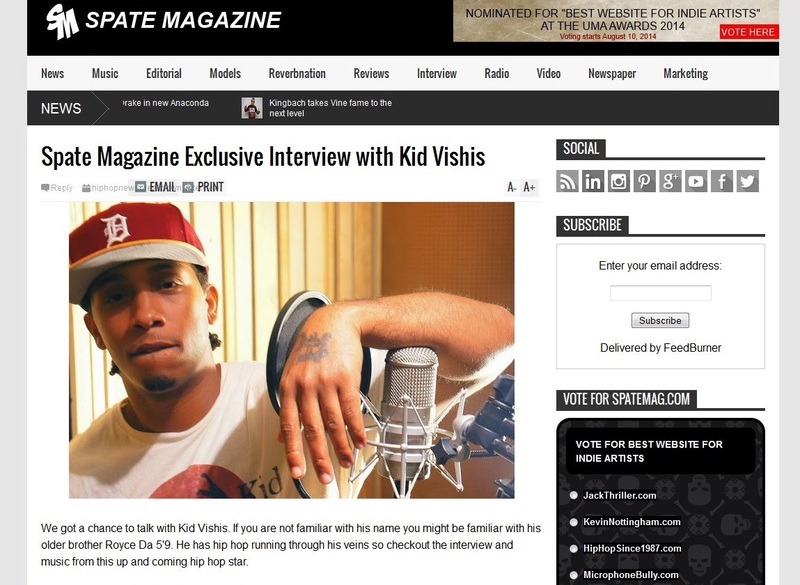 The feature is designed to provide information on the artists’ background, home city, artists who have influenced them, previous & current releases, what makes them different from the rest of the game, their aims in the industry and plans for the future….and also how they got their stage name. 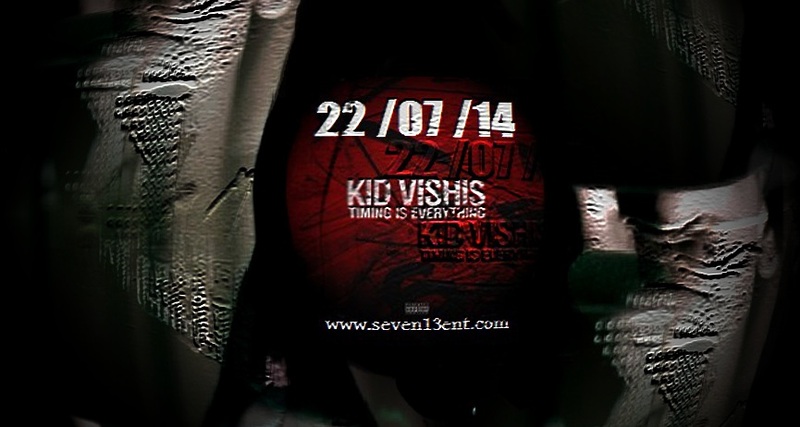 Their most recent feature has just been published, this time with Detroit’s Kid Vishis who has just released his debut album “Timing is Everything” on Seven 13 Entertainemnt. 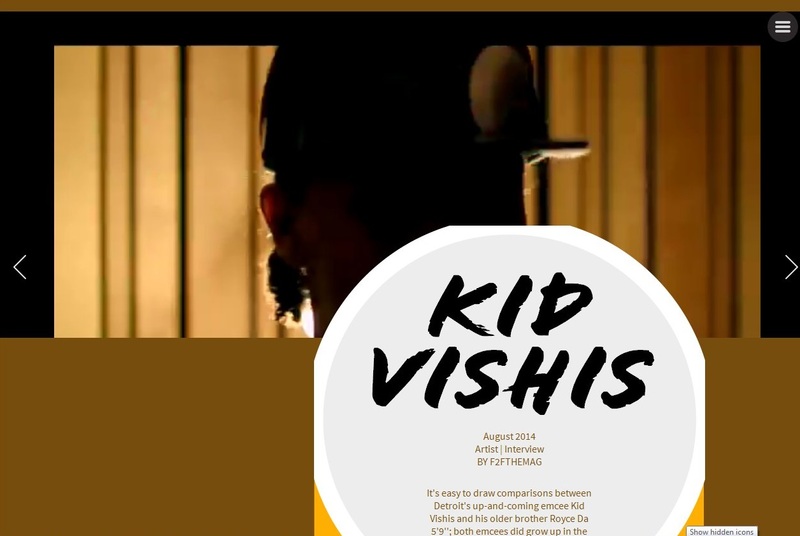 Any members of the press & media who would like to interview Kid Vishis, or club and venue promoters who would like to book Kid Vishis for shows, can contact UrbanElite PR HERE with their requests & inquiries.